Fun Housekeeping Games for the Whole Family is a guest post. If you are interested in writing for A Modern Mom’s Life, please visit my Guest Posting page. I routinely publish one guest post per month. This post contains affiliate links. Admit it, you hate housekeeping. It’s all right, you’re among friends – speak freely. I used to think that if I admitted that I hated cleaning, I’d be considered a bad housewife. Well, I’m not a bad housewife – I’m just one that hates cleaning. Of course, I used to hate it even more before I learned how to make it fun. Don’t think that it was easy for me to make cleaning fun – it wasn’t. I had fights with my partner and I had fights with the kids, too. But it all was worth it. Yes, I still hate cleaning, but now cleaning is fun and I don’t see it as a chore – but as a game. You know, when you have kids, the only thing that becomes associated with fun is playing games. And that’s exactly how I made cleaning fun – by adopting a few housekeeping games. Indulge your whole family – in fact, it’s funnier when you indulge your family in the process. And, most importantly, I promise that if you try any of those games, your home will stay clutter-less and dirt-less for long. You know what fun it was when your brother hid your favorite Barbie doll when you were little and made you search for it? Well, treasure-seeking is the same. Here, don’t make your kids search their favorite toys. Instead, hide a few oat biscuits or a few pounds and make your kids search for them. The key – they must declutter as they search. Believe me, by playing this game, you can make your home spotless, and it’ll teach your kids that cleaning may be fun – thus, you’ll kill two birds with one stone. This game is my personal favorite. You need a dirty home, a whistle, and a cleaning inspector. Blow the whistle to announce the beginning of the game. Everyone has to return to their rooms and spend 10 minutes cleaning and decluttering. When the time is over, everyone gets out and the cleaning technician goes in. The one who’s cleaned their room best gets a reward. You can play the pirate game every morning when you make your kid’s bed (or your own). Pretend that the bed is a pirate ship and you need to fight all wrinkles on your bed sheets – the bad pirates. When your bed is made, the game is over – you won! Congratulate your kids (and yourself) with a cup of hot chocolate or a cup of iced tea – depending on the season. There are now all kinds of dusting cloths. I bought my daughter a doll that collects dust, and an action figure dust cloth for my son. 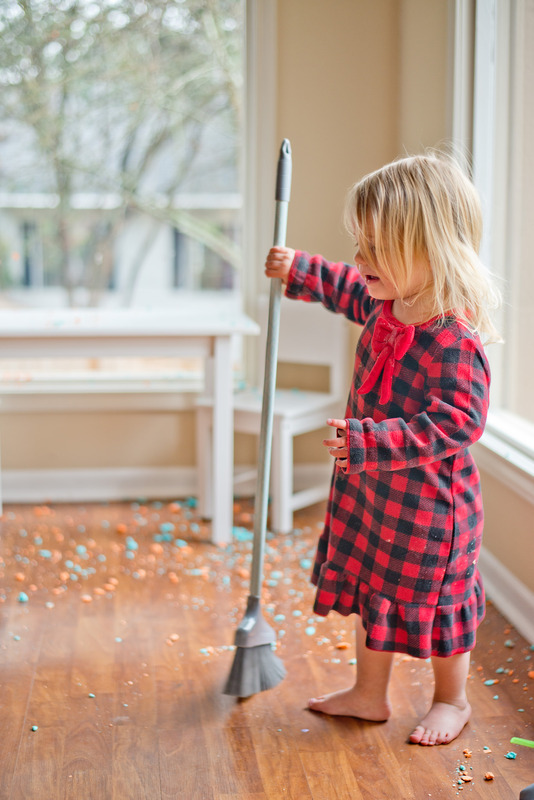 Whenever we’re dusting, we’re playing the dust game – whoever collects most dust with their dust cloth, gets to stay up for 1 extra hour in the evening, or decides what we’ll eat for dinner (if they don’t choose candy, of course). These housekeeping games may not sound fun on paper, but I guarantee that if you try any of them, you’ll see how fun they really are. Remember that cleaning is important, especially when your children are little. As you know, dirt brings bacteria and allergens. And by playing cleaning games with your kids, you kill two birds with one stone – you teach them that cleaning can be fun and that it’s important to keep clean. And those two lessons are essential because they’ll help your kids grow into diligent human beings that don’t tolerate filth. Zowie Ashton is an entrepreneur and a writer. 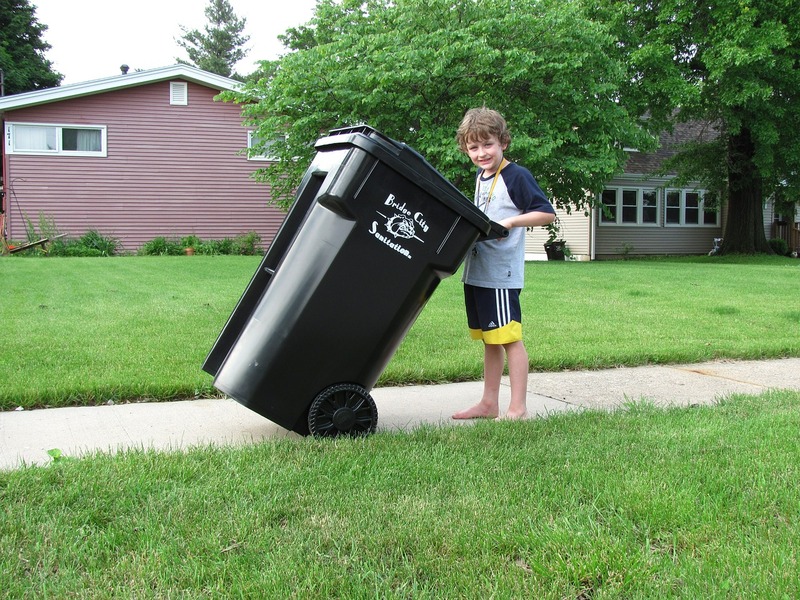 She believes that engaging kids with chores is truly important for their development and tries to think about different games to make the cleaning fun for them. I definitely think kids can help out with cleaning. The best way to start them is to have them clean their own rooms. We started with asking them to get their clothes into the hamper every night. Once they mastered that we moved onto more complex chores.